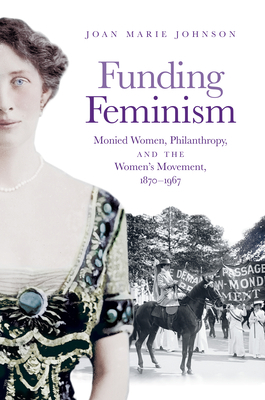 Joan Marie Johnson examines an understudied dimension of women's history in the United States: how a group of affluent white women from the late nineteenth through the mid-twentieth centuries advanced the status of all women through acts of philanthropy. This cadre of activists included Phoebe Hearst, the mother of William Randolph Hearst; Grace Dodge, granddaughter of Wall Street "Merchant Prince" William Earle Dodge; and Ava Belmont, who married into the Vanderbilt family fortune. Motivated by their own experiences with sexism, and focusing on women's need for economic independence, these benefactors sought to expand women's access to higher education, promote suffrage, and champion reproductive rights, as well as to provide assistance to working-class women. In a time when women still wielded limited political power, philanthropy was perhaps the most potent tool they had. But even as these wealthy women exercised considerable influence, their activism had significant limits. As Johnson argues, restrictions tied to their giving engendered resentment and jeopardized efforts to establish coalitions across racial and class lines.